New data from the Centers for Disease Control and Prevention (CDC) show that adults remain largely unvaccinated against preventable infectious illnesses. At a news conference convened today by the National Foundation for Infectious Diseases (NFID), experts in public health, infectious disease, oncology and other medical specialties discussed the data and the health consequences for adults who skip vaccines. They collectively called on all adults and health care providers to improve vaccination rates. “For more than six decades, vaccines have protected us from infectious illnesses that have a wide range of consequences, from lost work days and inability to meet our daily obligations, to pain, discomfort, hospitalization, long-term disability and death,” said Susan J. Rehm, M.D., NFID medical director. According to Dr. Rehm, by foregoing needed vaccines, adults not only leave themselves vulnerable to sickness, but they expose those around them to unnecessary risks, too. While adult vaccination rates are showing slow improvement overall, one vaccination trend Dr. Wharton specifically noted is the 7.4 percent decrease in pneumococcal vaccination rate in high-risk adults 19 to 64 years of age. She pointed out that this is not because people are suddenly foregoing this vaccine. Rather, the decrease reflects the recent addition of new risk groups — namely smokers and people with asthma — increasing the pool of people who should get the vaccine. Dr. Wharton called on smokers and people with asthma to check with their physicians or other health care providers about this vaccine. The NHIS survey also reported vaccination rates in health care professionals for influenza (up 7 percent, to 53 percent), hepatitis B (up 2.5 percent, to 65 percent) and Tdap (up 1.6 percent, to 58 percent). “It’s gratifying to see health care worker vaccination rates continue to increase,” said CDC’s Melinda Wharton. “By modeling good preventive care behaviors our health care professionals are truly leading the way as good partners in their relationship with patients.” The NHIS vaccination data include anyone employed in a health care occupation or setting. In contrast, physician-only vaccination rates are much higher (>90 percent for influenza) as reported in two separate NFID surveys fielded before and during the current influenza season. Dr. Joseph said this crisis means California doesn’t have the luxury of bringing people along slowly. The time to increase vaccination rates for pertussis is now. The California Department of Public Health recommends pertussis boosters for all adults, including those over 65, a move supported by the CDC’s Advisory Committee on Immunization Practices (ACIP). At its October meeting, ACIP voted to extend pertussis booster vaccination recommendations to include adults 65 and older nationwide. AARP board member Catherine Georges, R.N., Ed.D., reminded adults that the time to get an influenza vaccine is now. “We know it’s important for Americans of all ages to go out now and get the flu vaccine, but it’s even more critical for people 50-plus,” said Dr. Georges, a registered nurse and professor and chair of the department of nursing at Lehman College and the Graduate Center at the City University of New York. “Older Americans are often caring for their children and for older loved ones. Getting vaccinated not only protects you, but also helps protect your family and friends.” Dr. Georges echoed the universal recommendation from CDC for influenza vaccination of all Americans six months and older. Since pneumococcal infection is an all too frequent complication of influenza, Dr. Georges reminded Americans that, “pneumococcal and influenza vaccines can be given at the same medical visit.” Pneumococcal vaccine is recommended for everyone 65 and older and for younger adults with certain risk factors or conditions like asthma, smoking, heart disease and diabetes. For most people, pneumococcal is a one-time vaccination. Adults in the NFID survey say they are familiar with shingles, but further questioning reveals knowledge gaps; for instance, 42 percent do not know that anyone who has had chickenpox is at risk for shingles. Still, adults are aware of the pain of the disease; 55 percent say they “know someone who has had it and it was terrible.” Unfortunately, only half of adults even know there is a shingles vaccine available and just 16 percent know it is currently recommended for everyone 60 and older. The hepatitis B vaccine also protects against certain cancers. The hepatitis B virus causes 30 percent of all liver cancers in the U.S. and doubles the risk of non-Hodgkin’s lymphoma. Both HPV and hepatitis B viruses are common. An estimated 70 percent of Americans will be infected with HPV in their lifetime and up to 1.4 million Americans have chronic hepatitis B infection. About the NHIS data – The NHIS has monitored the health of the nation since 1957. The interviewed sample for 2009 consisted of 33,856 households, which yielded 88,446 persons in 34,640 families. Even after a generation of warnings from public health officials about the dangers of tobacco use, about 20% of Americans still smoke cigarettes, a CDC report says. The report also shows the rate of smokers who also use smokeless tobacco, such as chewing tobacco and snuff, is rising. Using smokeless tobacco can keep the nicotine habit alive, making it even harder to quit than going cold turkey, Terry Pechacek, PhD, of the CDC, tells WebMD. More Americans are turning to smokeless tobacco because of laws that prohibit smoking in public places such as bars, restaurants, and airplanes — and also because smokeless forms can be used in offices and on the job, Pechacek says. The tobacco companies market smokeless tobacco as a substitute for smokers, but they don’t help people quit smoking, Pechacek tells WebMD. Contrary to common beliefs of smokers, the benefits of quitting start immediately, Pechacek tells WebMD. The national smoking prevalence rate was 20.6% in 2008 and 2009. About 23% of males smoke, compared to 18.3% of females. “We are not making progress and we are going to have this burden for tobacco-related diseases for decades to come,” Pechacek tells WebMD. Smoking prevalence varies widely among states and territories, from 25.6% in Kentucky and West Virginia and 25.5% in Oklahoma to 9.8% in Utah, 12.9% in California and 14.9% in Washington. Smoking prevalence was 6.4% in the U.S. Virgin Islands, 10.6% in Puerto Rico, and 24.1% in Guam. Smoking prevalence for men was significantly higher than for women in 15 states, plus Guam and Puerto Rico. Smokeless tobacco use was highest in Wyoming at 9.1%, West Virginia at 8.5%, and Mississippi at 7.5%. It was lowest in California at 1.3% and Massachusetts and Rhode Island at 1.5%. Smokeless tobacco use was most common among those aged 18 to 24. Smokeless tobacco use decreased with higher educational attainment. Among the 25% of states in which smoking prevalence was greatest, seven also had the highest numbers for smokeless tobacco use, Alabama, Alaska, Arkansas, Kentucky, Mississippi, Oklahoma, and West Virginia. Doctors, dentists, and others in their offices should encourage patients to quit smoking and help them find ways to do so. CDC Director Tom Frieden, MD, MPH, says it’s unfortunate that so many smokers also are using smokeless tobacco products, which “may keep some people from quitting tobacco altogether.” He says in a news release that anti-tobacco efforts need to be beefed up against all forms of use. Here’s a list of percentages of smokers who also use smokeless tobacco, by state, from lowest to highest. Snus smokeless tobacco: Less harmful than cigarettes, but not safe. If you use snus, do you win or lose? Snus — alternately pronounced snoose or snooze — is a smokeless, flavored tobacco product very different from snuff. When placed between cheek and gum, it doesn’t make you spit. Even its critics admit that snus is less harmful than other forms of smokeless tobacco. And it is far less harmful than cigarette smoking. So is snus a good thing? It would be a good thing if everyone who smoked cigarettes or dipped snuff switched to snus instead. It would be a good thing if snus were a way station on the road to quitting all forms of tobacco. It would even be a good thing if kids who would have become smokers became snus users instead. But despite all of that, mounting evidence suggests snus isn’t a good thing — and may be far worse than they appear. Cigarettes are the world’s most efficient nicotine delivery device. They are also the most deadly. Many of the most dangerous byproducts of cigarettes are created during the burning process. Smokeless tobacco products obviously don’t burn. But smokeless tobacco is a major cause of oral cancer, pancreatic cancer, and esophageal cancer. Much of this risk comes from cancer-causing chemicals called nitrosamines and polycyclic aromatic hydrocarbons (PAH). And snuff products actually deliver more cancer-causing nitrosamines than cigarettes do. But nitrosamine content is far lower in snus than in snuff, says Stephen S. Hecht, PhD, professor of cancer prevention at the University of Minnesota. “Snus are made with a special process to help control nitrosamine levels,” Hecht tells WebMD. There’s a catch, of course. Carcinogen levels in snus may be lower — but they are not low. And there’s evidence that these nitrosamines — or something else in snus — are causing cancer. In Sweden and Norway, where snus originated, snus users have a significantly higher risk of pancreatic cancer. Snus are also linked to mouth sores, dental cavities, heart attack, stroke, and diabetes risk. And they do deliver nicotine — an addictive drug. Snus: Harm Reduction or Multiplication? OK, so snus isn’t without harm. But if it’s so much safer than cigarettes, wouldn’t it be good for smokers to switch to snus? In Scandinavia, there’s some evidence that snus contributed to a decline in smoking. Whether that happens in the U.S. depends on young people, says Michael Eriksen, ScD, director of the Institute of Public Health at Georgia State University and former director of the CDC Office on Smoking and Health. It’s a huge public health experiment — and the results already are plain to see, says Terry Pechacek, PhD, associate director for science at the CDC’s Office on Smoking and Health. Pechacek notes that more than a fourth of white, male high school students report having used smokeless tobacco products in the last month. Overall, nearly 7% of all U.S. high school students already use smokeless tobacco. And they are not using snus instead of cigarettes. This isn’t an accident, says Michael Steinberg, MD, MPH, director of the tobacco dependence program at the University of Medicine and Dentistry of New Jersey. Steinberg notes that in 2006, major U.S. cigarette companies bought the major smokeless tobacco brands. And the two major brands of snus? They’re from leading cigarette makers Altria/Philip Morris (Marlboro Snus) and RJ Reynolds (Camel Snus). Steinberg also notes that U.S. snus deliver less nicotine than do cigarettes. Snus: An Aid to Quitting Cigarettes? Data from Sweden show that snus users don’t always progress to cigarette use, and that it’s possible to use snus to reduce dependence on cigarettes. One Swedish study, for example, found that there were more ex-smokers using snus that there were ex-snus users using cigarettes. However, Steinberg notes that this study fails to account for significant anti-smoking efforts taking place in Sweden at the same time, such as indoor health programs and government assistance to smoking cessation programs. “Other countries, such as Norway, have not seen the same outcomes in terms of health benefits of snus as in Sweden,” he says. Steinberg points to studies showing that snus isn’t any more helpful than nicotine replacement products such as nicotine gum and nicotine nasal spray. Snus users get hooked on nicotine. This means that if users try to quit, they will go through the unpleasant sick feeling known as withdrawal. Many will find it very difficult, if not impossible, to stop using nicotine in one form or another. All of the experts who spoke with WebMD agree: Snus clearly aren’t as deadly as cigarettes, but they pose a significant risk to your health. “The bottom line is there is no safe form of tobacco use,” Pechacek says. The American Society for Radiation Oncology (ASTRO) has named Brian Hill of Newport Beach, Calif., as its 2010 Survivor Circle Award winner. Hill will be recognized with a trophy and a $1,000 prize during the Awards Ceremony on Tuesday, November 2, 2010, during ASTRO’s 52nd Annual Meeting in San Diego. He has chosen to donate the funds from the award to benefit The Oral Cancer Foundation, the nonprofit he started a decade ago. The Survivor Circle Award recognizes a cancer survivor who has given back to the community by devoting his or her time to helping others with cancer. Hill was diagnosed with Stage 4 metastatic tonsil cancer in 1997. When he was going through treatment, he had many questions about side effects and realized there was a lack of information and awareness about head and neck cancer even though the disease has a very high death rate, due to it being caught at a late stage in most cases. After Hill completed his grueling but successful radiation treatments at M.D. Anderson Cancer Center in Houston, he and his wife Ingrid founded The Oral Cancer Foundation in 1999, which is now a national non-profit charity. Besides its original mission of patient support and information dissemination, it is involved in advocacy issues, sponsorship of research, and increasing public awareness and early discovery of the disease. “Being chosen by ASTRO in this way is a huge honor. I feel as if this is the second time I am the beneficiary, as I owe my being here today to the doctors and radiation technology, which saved my life.” He said. As the pro bono director of the foundation, Hill spends his time speaking at symposia and universities worldwide. He has also worked as an advocate with congressmen and senators on issues as varied as the tobacco bill, Medicare issues of post-treatment patients, the HPV vaccine, and the issues of early cancer detection. Hill was inducted as the first non-doctor member of the American Academy of Oral Medicine in recognition of contributions to oral cancer public literacy and awareness programs and the promotion of early diagnosis of oral cancer via free public screenings. He has also received awards from the NIH/NIDCR and the Chicago Dental Society, and is a recipient of NYU’s prestigious Strusser award for public service. He sits on oral cancer work groups from the CDC to numerous professional dental and medical society organizations. than 11,000 attendees of various disciplines, including oncologists, physicists, biologists, nurses and other healthcare professionals from all over the world. The theme of this year’s meeting is “Gathering Evidence, Proving Value” and the program will examine the realities of practicing medicine in 2010. Declines in rates of adolescent tobacco use have stagnated in the past few years, prompting the CDC to call for better prevention efforts, according to a recent report. “Smoking continues to be the leading preventable cause of death and disability in the United States; and among adult established smokers in the United States, more than 80% began smoking before age 18 years,” CDC researchers wrote. To evaluate behaviors and attitudes toward tobacco use during the critical period of adolescence, the researchers used National Youth Tobacco Survey (NYTS) data collected from 2000 to 2009. The NYTS, which presents school-based survey responses from a cross-sectional, nationally representative sample of middle school and high school students, gleans information on youth tobacco use; smoking cessation; tobacco-related knowledge and attitudes; access to tobacco; media and advertising and secondhand smoke exposure. The study has been conducted every 2 years since 2000. From the 205 participating schools, 22,679 students responded. They were polled about any use of, current use of and experimentation with certain tobacco products, including cigarettes, cigars, smokeless tobacco, pipes, bidis and kreteks. Survey questions also investigated students’ willingness to initiate tobacco use. Results indicated that 8.2% of middle school students and 23.9% of high school students reported current tobacco use in 2009, the researchers said, with 5.2% of middle school and 17.2% of high school students reporting current cigarette use. The researchers also noted that 21.2% of middle school and 24% of high school students were willing to start smoking cigarettes. Data from 2009 also suggested that, among middle school students, 3.9% currently used cigars; 2.6%, smokeless tobacco; 2.3%, pipes; 1.6%, bidis; and 1.2%, kreteks. A similar distribution of use of these products was noted among high school students, with 10.9% currently using cigars; 6.7%, smokeless tobacco; 3.9%, pipes; 2.4%, kreteks; and 2.4%, bidis. From 2000 to 2009, decreases occurred among middle school students for current tobacco use, 15.1% to 8.2%; current cigarette use, 11% to 5.2%; and cigarette smoking experimentation, 29.8% to 15%. 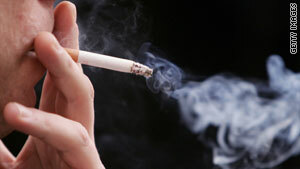 Overall rates for susceptibility to smoking, however, did not decline. Analysis also indicated that rates of decreases demonstrated no change during this time. Among high school students, current tobacco use decreased from 34.5% to 23.9% from 2000 to 2009, according to the researchers, with current cigarette use also declining from 28% to 17.2% and rates of experimentation falling from 39.4% to 30.1%. Again, rates of decline did not change. Prevalence of susceptibility to smoking remained steady for middle school and high school students throughout the study period. Between 2006 and 2009, however, the willingness to start using tobacco products and current use of cigarettes, cigars, smokeless tobacco, pipes, bidis and kreteks did not change among middle school or high school students. For middle school students, the researchers only noted declines in two subpopulations, with rates of current cigarette use falling from 6.4% to 4.7% among girls and decreasing from 6.5% to 4.3% among white students. Similarly, from 2006 to 2009, prevalence among high school students only declined in girls for current tobacco use, decreasing from 21.3% to 18.2%, and current cigarette use, with rates falling from 18.4% to 14.8%. Prevalence for current bidi use also declined among white students (2.6% to 1.7%). Researchers noted that prevention programs are effective, but they do not receive adequate financial support. “Comprehensive tobacco control programs should be fully funded and implemented, as recommended by the CDC,” they wrote. The researchers also said better control of cigarette advertisements and more graphic warnings on cigarette packs may help deter adolescents from smoking by altering the general public’s attitudes toward tobacco use. “Changes in social norms might help reduce youth susceptibility to try cigarettes and other tobacco products and accelerate the decline in tobacco use among youths,” the researchers wrote. Although women account for only about 20 percent of the world’s 1.3 billion smokers, tobacco use among women is on the rise. Particularly troubling is new data from three countries —Bangladesh,Thailand, and Uruguay—indicating greater exposure to cigarette marketing among young women (ages 15 to 24) than older women, according to a CDC study. In Bangladesh, exposure to bidi cigarettes (80.1 percent) and smokeless tobacco (69.9 percent) marketing was widespread among women and did not vary by age. Bidi cigarettes are hand rolled cigarettes made of tobacco that are primarily used in Bangladesh, India, and Pakistan. Launched in 2007, the Global Adult Tobacco Survey (GATS) is a nationally representative household survey of persons ages 15 years and older being implemented in 14 countries around the world. Bangladesh, Thailand and Uruguay are the first three countries for which 2009 data is available. Before GATS, no one standard global survey for adults has consistently tracked tobacco use and other tobacco control measures. “Tobacco kills more people each year than HIV, tuberculosis, and malaria combined, and tobacco deaths are increasing steadily,” said CDC Director Thomas R. Frieden, M.D., M.P.H. “The results of these surveys show one of the key reasons for the tobacco epidemic – marketing, including to women and girls. Countries around the world should establish and enforce comprehensive bans on advertising, sponsorship, and promotion of tobacco products,” he said. In Thailand, 3.1 percent of women are current smokers, compared with 45.6 percent of men, while the prevalence of smokeless tobacco use is 6.3 percent for women, compared with 1.3 percent for men. In Uruguay, 19.8 percent of women are current smokers, compared with 30.7 percent of men. Uruguay has almost no smokeless tobacco use. To effectively combat the tobacco epidemic, the World Health Organization recommends MPOWER, a technical assistance package that requires monitoring tobacco use and prevention policies, protecting people from tobacco smoke, offering help to quit tobacco smoking, warning about the dangers of tobacco, enforcing bans on tobacco advertising, promotion and sponsorship, and raising taxes on tobacco. Funding for GATS is provided by the Bloomberg Initiative to Reduce Tobacco Use and is conducted in partnership with the Campaign for Tobacco Free Kids, CDC Foundation, Johns Hopkins Bloomberg School of Public Health, World Health Organization, and the World Lung Foundation. Other participating countries are Brazil, China, Egypt, India, Mexico, Philippines, Poland, Russian Federation, Turkey, Ukraine and Vietnam. For an online version of the MMWR report, please visit www.cdc.gov/mmwr. For information on World No Tobacco Day, visit www.cdc.gov/tobacco, and for additional information and materials, including posters, visit WHO’s Tobacco Free Initiative at http://www.who.int/tobacco/en/. Smokers of U.S. brand cigarettes may get more bang for their buck in the worst way according to a small study conducted by the Centers for Disease Control and Prevention. Researchers found U.S. made cigarettes contain more cancer-causing chemicals than some cigarettes brands made elsewhere around the world. “Not all cigarettes are made alike” says Dr. Jim Pirkle, deputy director for science at the CDC’s National Center for Environmental Health. He says this is the first study to show that “U.S. cigarettes have more of the major carcinogen [TSNAs] than foreign made cigarettes.” TSNAs are “tobacco-specific nitrosamines,” the major cancer-causing substance in tobacco. 126 smokers in five cities – Waterloo, Ontario; Melbourne, Victoria (Australia); London, England, Buffalo, New York, and Minneapolis, Minnesota – were recruited for this study. They were between the ages of 18 and 55 and smoked at least 10 cigarettes a day for the past year and had been brand loyal for at least three months. The cigarettes smoked by the study recruits represented some of the more popular brands for each country including: Players light and DuMaurier in Canada; Marlboro, Newport Light, Camel Light in the U.S.; Peter Jackson and Peter Stuyvesant in Australia; and Benson & Hedges and Silk Cut Purple in the United Kingdom. Scientists analyzed more than 2,000 cigarette butts to get the data they are reporting today, says Pirkle. When researchers compared cigarette brands in the U.S. to those in Canada and Australia, they found three times higher levels of the cancer causing substance in the U.S. smokers’ mouths. The mouth levels are important because they give an indication of what levels if carcinogens are going into the lungs. (Smoking tobacco is a major cause of lung cancer). They also found twice as much TSNA in the urine samples of U.S. smokers compared to those in Canada and Australia, an indication that cancer-causing substance has traveled throughout the body. There is no one group that speaks for the tobacco institute anymore, according to Darryl Jason, a spokesman for the Tobacco Merchants Association (TMA), which is why he couldn’t comment on the study. The TMA was founded in 1915 to “manage information of vital interest to the worldwide tobacco industry according to their website. Jason did point out that cigarettes manufactured in the U.S. contain a different blend of tobacco from cigarettes made elsewhere. The study acknowledges that there are different types of tobacco depending where the cigarettes are made. But that’s only one factor says Pirkle: “The TSNA levels largely come from the way tobacco is cured.” The heating process, humidity and the type of the ferlizer used to grow the tobacco also contribute to the levels of cancer causing substances, says Pirkle. In 2007, the Institute of Medicine, the medical branch of the National Academy of Sciences, released “Ending the Tobacco Problem: A Blueprint for the Nation,” stating a goal of eliminating smoking as a public health problem in the United States. 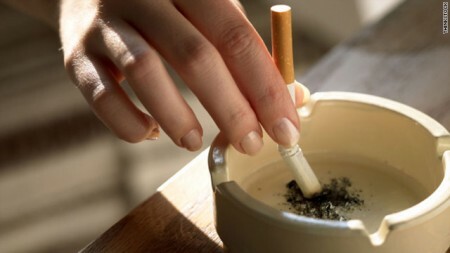 The strategies included strengthening and fully activating tobacco control methods similar to the CDC’s plans, as well as tobacco regulation. In 2008, the World Health Organization’s MPOWER program outlined additional steps that complemented and reinforced the other agencies’ recommendations. As an example of the success of these strategies, the CDC cites the state of California, which has one of the oldest comprehensive tobacco control programs. California cut adult smoking rates from 22.7 percent in 1988 to 13.3 percent in 2006. That reduction in smoking accelerated the decline of heart disease deaths and lung cancer incidence in California, compared with the rest of the country. In 2009, 14 states and the District of Columbia implemented an excise tax on cigarettes. Those state tax hikes followed a 62-cent federal cigarette tax hike instituted by Congress in April 2009. Twenty-four states and D.C. have comprehensive smoke-free laws. Seven states do not have statewide smoke-free laws of any type: Indiana, Kentucky, Mississippi, South Carolina, Texas, West Virginia and Wyoming. While some progress has been made in getting more states to implement tobacco control measures, the report stresses that much more is still needed. The CDC’s Best Practices for Comprehensive Tobacco Control Programs 2007 noted that states could plan and enact tobacco control programs with a small percentage of tobacco excise tax revenues and funds from a 1998 agreement between states’ attorneys general and the four largest tobacco companies. The report concludes that putting uniform tobacco control policies in place would dramatically reduce the health and economic burden on states. The House of Representatives Committee on Energy and Commerce, Subcommittee on Health, held a hearing on April 14: “Smokeless Tobacco: Impact on the Health of Our Nation’s Youth and Use in Major League Baseball.” NCI’s Deputy Director of the Division of Cancer Control and Population Sciences Dr. Deborah Winn testified before the committee, as did Dr. Terry Pechacek, associate director for science in the CDC’s Office on Smoking and Health. The full panel of witnesses included representatives of Major League Baseball (MLB) and the MLB Players Association (MLBPA); Dr. Greg Connolly, a dentist and Harvard professor who has conducted research on smokeless tobacco for more than 20 years; Gruen Von Behrens, an oral cancer survivor and tobacco prevention advocate; and baseball legend Joe Garagiola, Sr., who continues to work as an MLB announcer and is a vocal advocate for ridding MLB of smokeless tobacco. Dr. Winn’s testimony recognized smokeless tobacco, which includes snuff and chewing tobacco, as an established cause of oral, pharyngeal, pancreatic, and esophageal cancers, and stressed that there is no safe level of tobacco use. She also addressed questions from members of the committee regarding MLB players using smokeless tobacco on the field, and therefore on television. Media depictions of tobacco use have been shown to contribute to an increase in youth tobacco use, explained Dr. Winn. NCI’s “Monograph 19: The Role of the Media in Promoting and Reducing Tobacco Use” provides additional information on this topic. Dr. Pechacek provided an overview of current trends in smokeless tobacco use, revealing that new CDC survey data indicate that after years of decline, smokeless tobacco use is actually increasing now among males in grades 9 through 12. These latest data will be available this summer, when the CDC releases the 2009 Youth Risk Behavior Surveillance System results. These findings add to existing data, which indicate increases in smokeless tobacco use among white and Hispanic young men (particularly those between age 18 and 25) between 2003 and 2008. Throughout the hearing, committee members and witnesses discussed Minor League Baseball’s policy prohibiting smokeless tobacco use on the field and in the clubhouse. Committee chairman Rep. Henry Waxman (D-CA) and subcommittee chairman Rep. Frank Pallone (D-NJ) encouraged MLB and the MLBPA to discuss and adopt this policy during their upcoming collective bargaining process. NCI currently funds six grants addressing smokeless tobacco via its RFA, “Measures and Determinants of Smokeless Tobacco Use, Prevention, and Cessation.” More information about these funding opportunities can be found at http://cancercontrol.cancer.gov/tcrb/research_topic-smokeless.html. More information on the hearing, including a full list of witnesses, can be found on the committee Web site. For more information about this and other NCI congressional activity, visit the NCI Office of Government and Congressional Relations Web site.